Why is she still with him? If it was me, I wouldn’t put up with it. Domestic violence can seem like something that only happens to other people. That's far from the case. You most likely have a friend, family member, or coworker who has gone through some type of emotional or physical abuse in their relationship. Domestic violence is defined as "violent or aggressive behavior in the home, usually by a partner or spouse." However, there are a lot of false ideas about what “actual” domestic violence is. To combat this epidemic, we must understand the myths about relationship abuse and how we can dispel them. Myth: Domestic violence is a women’s issue. Statistically, women are more likely to experience abuse from a male partner. According to the US Department of Human Services, one in four women will go through severe intimate partner violence. But it’s not only a women's issue. Men experience abuse by women more than you might think (and more than the media shows). Studies suggest that one in nine men will be abused by a female partner. While this number may say high, the real number is likely much higher. Researchers believe that the fear of being seen as “weak” can make men less likely to report. Those in the LGBTQ+ community are also much less likely to report abuse. The National Coalition Against Domestic Violence estimates that up to one in two queer women and one in three queer men experience some sort of intimate partner violence. Homophobic rhetoric and fear of being outed can make victims cautious to reach out. Additionally, there's little to no discourse around the topic. If the media was to be believed, abuse"doesn't happen" in queer relationships. But the reality is that domestic violence can happen to anyone, in any sort of relationship. Failing to acknowledge that abuse occurs across genders and sexualities only leaves more people in danger. 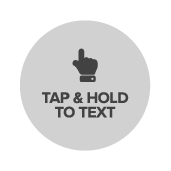 If you’re in an abusive relationship, text a Crisis Counselor at 741741 or use the mobile text button below. It’s a free, 24/7, and confidential resource. Myth: The victim can just leave the situation. Domestic violence has many layers. Abusers exert their control by creating like isolation, financial dependence, and emotional manipulation, as well as physical fear. Abusers are crafty. They spend a lot of energy keeping their victims under their thumbs in any way they can. They can push away family and friends, prevent a victim from having a job, and prohibit day-to-day necessities. They can even limit the victim's transportation, further cutting off contact with the outside world. If there are kids involved, a simple threat to take them away or to hurt them can stop an attempt to leave ice cold. Myth: People lie about abuse. There will always be a small minority of people who claim to be victims for opportunistic gain. However, this is not the norm. Abuse is not a “one and done” situation. A first slap, push, or punch is not likely to be the only time it happens. Domestic violence is a pattern of manipulative behaviors, which when left unchecked can have serious consequences. At the end of the day, it is dangerous to assume someone is being untruthful about being in an abusive situation. I can speak from personal experience when I tell you that not being believed is a horrible thing. If someone tells you they are being abused, assume it is true. It may be the only time they ask for help and it is up to you to support them. This is probably the biggest hurdle to combating abuse. We often feel uncomfortable intervening because we don’t want to be seen as “nosy”. The reality is that the best way thing you can do for someone in a violent situation is to try and help. When you think about it, it makes sense to try to intervene. The violence is happening within the family so true help can’t be found within that unit. Helping can look different depending on the situation. It could mean calling the police. It could mean just being there and offering a safe space for the victim to talk about the situation. Simply asking the person what they need empowers them during a time they may not feel like they have much power. Not taking any action leaves the person being abused alone to deal with what is happening. It can be scary to get involved in a domestic violence situation. However, think about how scared the person you’re helping may be. A step toward helping can literally mean the difference between life and death. Support those experiencing relationship violence by becoming a Crisis Counselor. Getting rid of misconceptions about domestic violence isn’t easy. Abuse is an uncomfortable subject to talk about. If you haven’t gone through it, you can’t understand the pain victims are in. We can help by not standing on the sidelines and instead taking action to help. You may not realize it, but you have the chance to save a life. Don’t let it slip by. Christi Barger is a domestic violence survivor and counselor with Crisis Text Line. Currently, Ms. Barger works for a non-profit crime prevention organization and is an executive member and speaker with VOICES, a survivor’s speakers bureau aimed at increasing domestic violence awareness in the community.